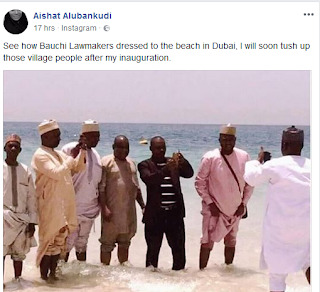 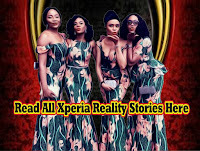 A journalist and Facebook user identified as Aishat Alubankudi, has taken to the social networking platform to reveal how some members of the House of Representatives in Bauchi state became a subject of mockery after wearing their native outfits to a beach in Dubai. 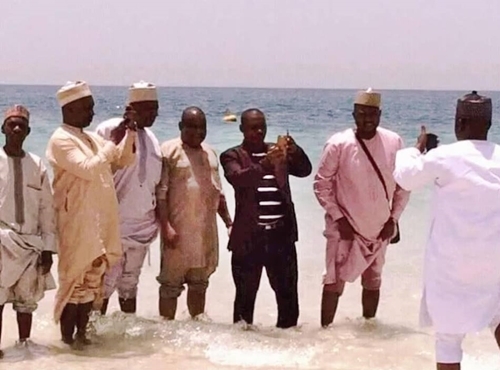 According to Aisha who posted the photo online, the lawmakers had to roll their clothes up before entering the water after taking a break from their business trip. "See how Bauchi Lawmakers dressed to the beach in Dubai, I will soon tush up those village people after my inauguration." 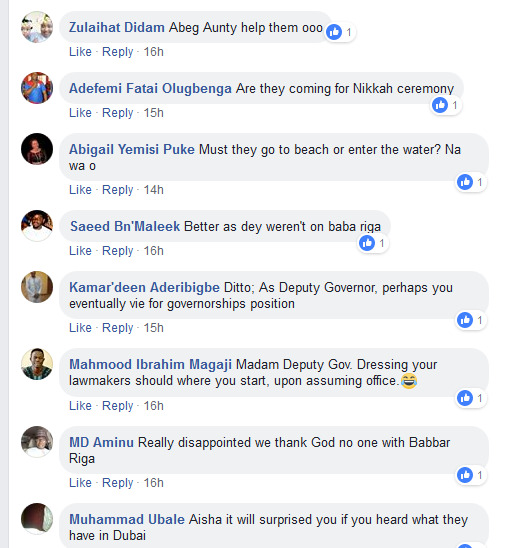 Online users were quick to react and criticize the fun-seeking lawmakers after the trending picture was posted online.